Today's entry in the Director Essentals series is for the neurotic New York jew in all of us. The suggestion comes from DVD Verdict writer, F This Movie! contributor and Edgar Wright's roommate Erich Asperschlager, whose favorite Woody Allen movie is The Curse of the Jade Scorpion. If you've got a director you want to nominate for Director Essentials, suggest him or her (because women can do anything boys can do if they put their minds to it) on our Facebook page or in the comments below. 1. 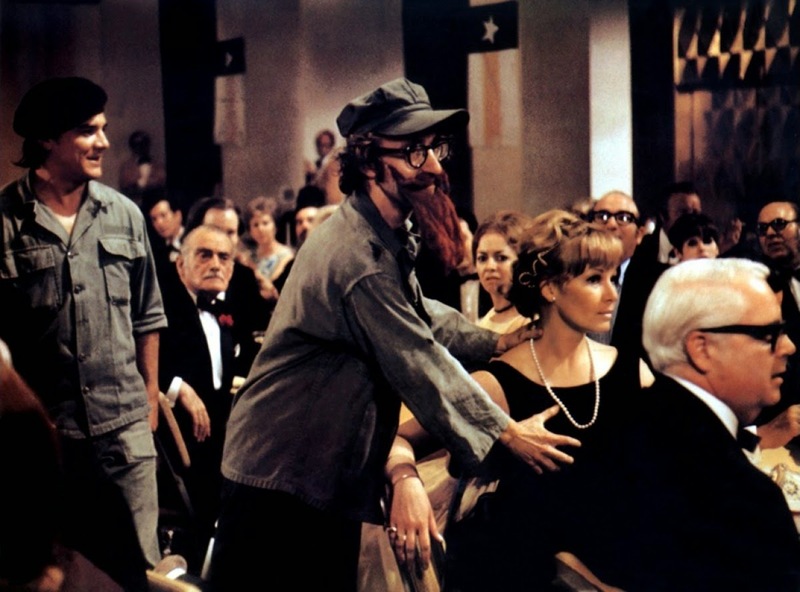 Bananas (1971) - After four decades and over 40 films, it's easy to forget just how funny Woody Allen used to be. He's no longer associated with the kinds of movies he made early in his career, so it takes going back and seeing his first feature as a writer/director to remember what a great comic anarchist he was once. And, like the best of the Marx Brothers, the jokes in Bananas don't date. Funny is funny. 2. Love and Death (1975) -There are a handful of Allen's early films that could easily occupy this slot (most notably Sleeper), but this is a rare opportunity to champion one of Allen's funniest and most underrated comedies. This is the movie that suggested Allen had a lot more on his mind than just jokes (since it's mostly about Russian literature and philosophy), but it remains very accessible despite the heady subject matter. 3. Annie Hall (1977) - And here it is. Allen's best movie is the one that launched him from the ranks of great comedy director to Great Director. Over 30 years later and Annie Hall still feels new and relevant. It's a masterpiece. 4. Manhattan (1979) - There are a lot of Woody Allen fans who would choose Manhattan as the director's best film. Those people are wrong, but Manhattan is still very good. In many ways, the movie's central theme -- "the heart wants what the heart wants" -- would define not just the rest of the director's films, but his personal life as well (and is likely to wind up on his tombstone). It's also one of Allen's few forays into widescreen photography, which he should have used more often. 5. The Purple Rose of Cairo (1985) - One of Woody Allen's sweetest movies, and one of my favorite movies ever about why movies are such magical, transformative experiences. 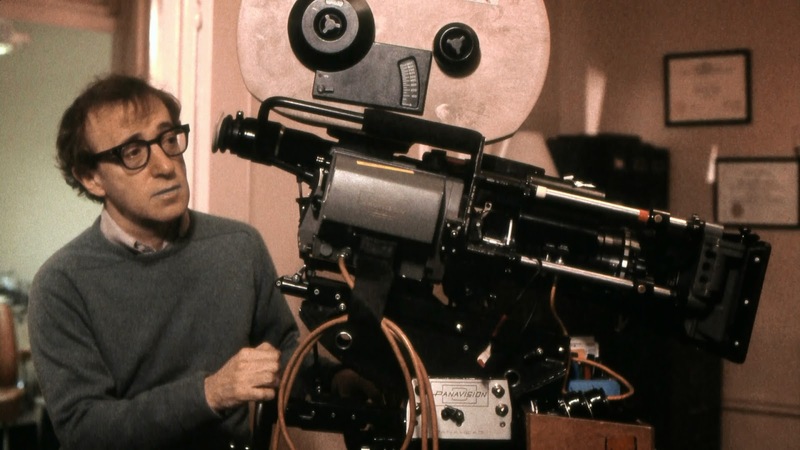 This started one of his best streaks as a filmmaker -- possibly the last one he ever had. 6. Hannah and Her Sisters (1986) - A beautiful movie about love both romantic and familial, Hannah hangs just behind Annie Hall and Crimes and Misdemeanors as one of Allen's best. If you want to understand his ability to write great parts and work with actors (he's directed more actors to Oscar than any other director, I believe), look no further than this movie. 7. 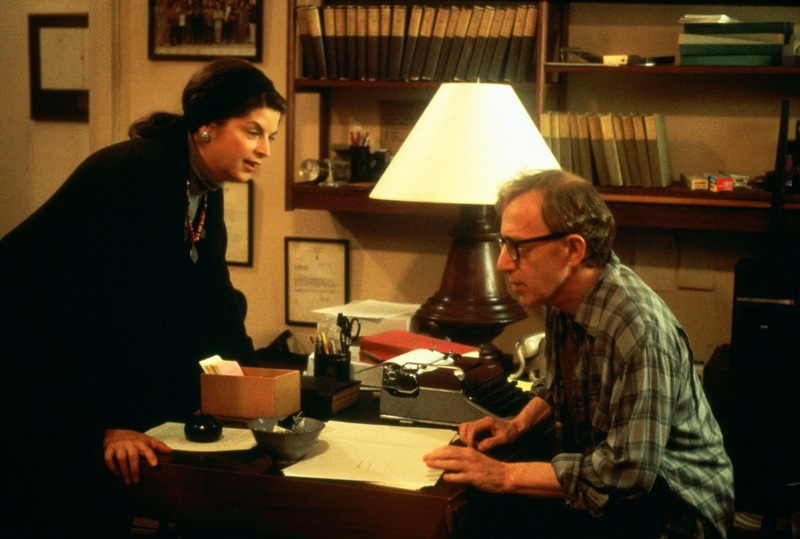 Radio Days (1987) - The third movie in Woody Allen's killer '80s streak (which gave way to somber, Bergmanesque dramas) is minor, yes, but another of the writer/director's love letters to show business past (like Purple Rose and Broadway Danny Rose). This is Allen basically doing sketch comedy, but the emphasis is a little less on laughs (though it is funny) and more on sweetness and nostalgia. 8. 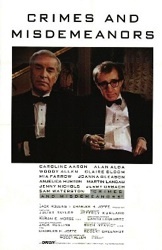 Crimes and Misdemeanors (1989) - Woody Allen's last masterpiece, and one of his two best movies ever (it gives Annie Hall a run for its neurotic money as his crowning achievement). The director had been experimenting with dark character dramas for years, and Crimes is a perfect amalgamation of those films with his earlier comedic work. So good he basically remade it years later as Match Point. 9. Everyone Says I Love You (1996) - This isn't widely considered one of Woody Allen's best movies, and I'll never understand why. It's a wonderful, beautiful movie that places the Hollywood musical in a very real-world context. No, not all of the stars can sing or dance, but that's the point; the emotions in Everyone Says I Love You are so big that the characters can only express themselves in song, It's about the feeling, not the technique. 10. Deconstructing Harry (1997) - If you want to understand how life was for Woody Allen between, say, Radio Days and the late '90s, look no further than Deconstructing Harry. His marriage fell apart, the public turned on him and he became a very angry guy. 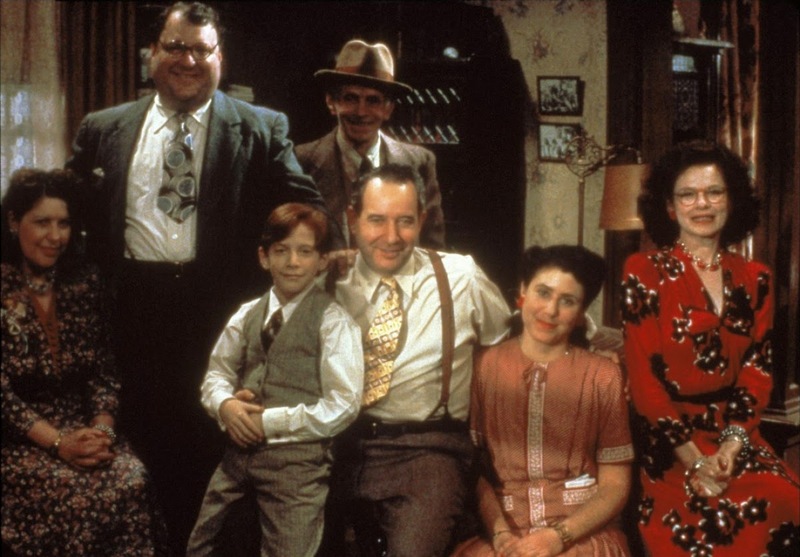 This is a bitter, hostile and, at times, hateful movie; it's also funny, misunderstood and underrated even by fans. It might just be his last best movie. Love it! Glad to see Love and Death made the list. That and Bananas are my two favorite.